The Miami Marlins promote responsible drinking and positive fan behavior at Marlins Park. The Marlins Fan Code of Conduct and the details of the Marlins alcohol management plan that appear below ensure that fans have a safe and fun experience. The Marlins continually strive to create a safe, comfortable and enjoyable experience for all Guests at Marlins Park. 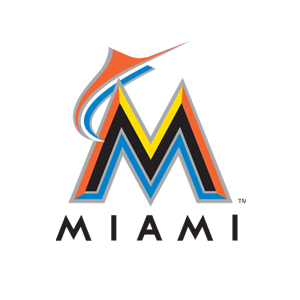 Guests will be treated in a consistent, professional and courteous manner by all Marlins Park Team Members and the Marlins ask for Guests to conduct themselves in a manner that will help ensure a positive experience for everyone. The following Guest Code of Conduct has been established to help maintain an enjoyable environment for everyone. The Marlins thank you for adhering to the Guest Code of Conduct. The Marlins’ goal is to attain the highest possible standards with its Team on and off the field. Be proud of Marlins Park and enjoy the experience. The Marlins and Budweiser have teamed up to implement the Budweiser Good Sport Program as a “thank you” to Guests who respect the rights of others, drink responsibly and designate a driver at Marlins home games. Please visit the Budweiser Good Sport Program kiosk located by Section 12. Program registrants must be 21 years of age or older and have a valid driver’s license.